Unless you’ve lived in a cave or on a deserted island the past years, you must know that woven home decor pieces are THE trend right now. Seriously! This age old technique has made a tremendous comeback. And we love it! That’s why we created this Master Modern Tapestry Weaving CraftJam so you can get a jumpstart to this technique and make your own unique wall hangings and decorations for your home. This is the class our whole CraftJam team has been buzzing about! From this class you get to take home a finished woven piece the size of x and x and a loom to continue practicing your weaving skills. We have all the materials ready for you plus some delicious snacks. Just bring your friends and a drink of your choice. We are BYOB friendly! As woven home decor pieces are THE trend right now, we created this CraftJam so you can get a jumpstart to tapestry weaving techniques! 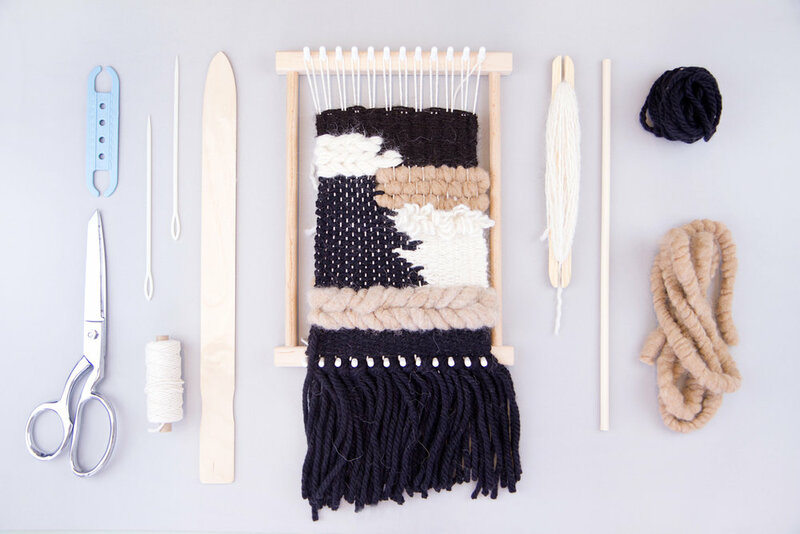 Take home a loom and a brand new home dec piece!